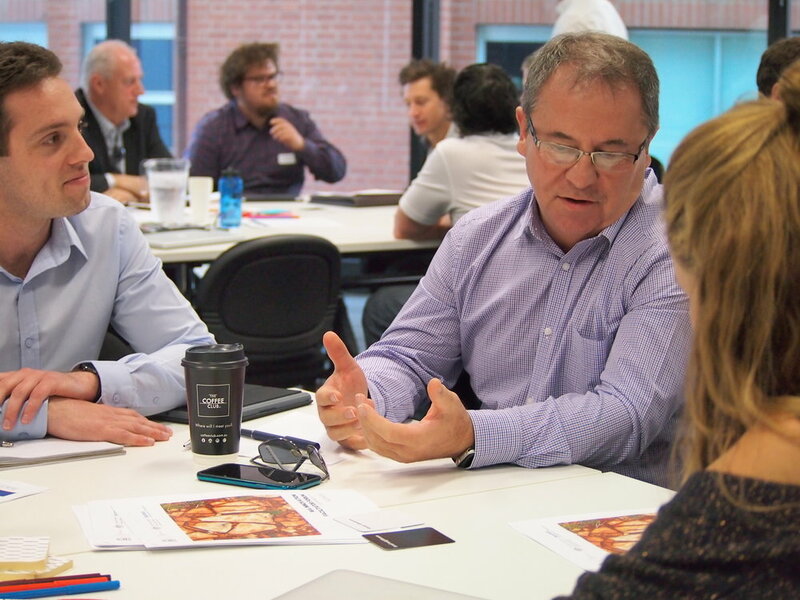 A passionate group of Western Australia’s Innovation Ecosystem stakeholders came together for two days (19th + 20th September, 2018) of intensive workshops, learning and fun in an effort to advance the capabilities of facilitators statewide. The program, conceived by Meshpoints and facilitated by Nate Sturcke (SOMA) was supported by the Department of Primary Industries and Regional Development (DPIRD) and through funding from the Australian Government’s Entrepreneurs’ Program Incubator Support Initiative. A range of stakeholders; primarily regional, new and existing incubators, agency staff working on regional innovation and incubation, and relevant experts, were invited to participate in two days of interactive workshops and professional development modules. The program included the Demo Night for Spacecubed’s Plus Eight Accelerator Program held at Flux. Key innovation toolkit fundamentals such as; design thinking, lean startup, and hackathon coordination. Day one kicked off with an overview of Innovation and the ecosystem with Andrew Outhwaite (StartupWA) followed by a panel discussing case studies of government support. The afternoon focused on an investment masterclass and panel discussion facilitated by Katie Bawden (DPIRD), hosting Bonnie Lin (Innovation Bay), Sven Stenvers (Impact Seed), Justin Strharsky (Unearthed), and Asher Vukelic (Vukelic Group) which was an exploration of the funding mechanisms currently operating in WA, including accelerator funding, corporate-backed models, angel investing, venture capital and impact investing. The day ended with a change of pace, with everyone invited down to Flux for the Plus Eight Accelerator Demo Night where an enthusiastic display of pitching from a well-rehearsed cohort of startups impressed the crowd. Startups involved in Plus Eight have spent the last 6 months refining their business model here and abroad, with expert guidance from Spacecubed’s Entrepreneur in Residence, Tim Brewer and a host of mentors from around the globe. The final day of the forum held at The Platform facilitated by Nate Sturcke (Skills of the Modern Age) took participants through design thinking, hackathons and lean startup methodology, essential tools for anyone working with Startups and Incubators. The afternoon was spent on developing sustainable incubators and practical application to specific regions with Andrew Outhwaite, drawing on his experience with Pollinators, City Hive (Geraldton) and Meshpoints before taking his current role with the Australian Government Entrepreneurs Program Incubator Support Initiative. The Two Day program was action packed though still provided time and space for regional facilitators to build relationships, find common ground, and strengthen their network. 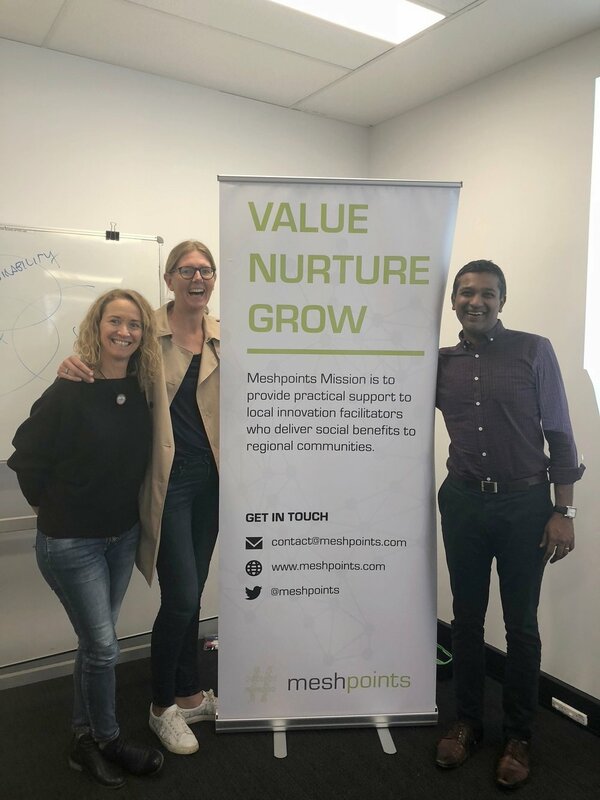 If you haven’t connected with Meshpoints yet, but would like to be involved in future events such as this, sign up to our mailing list.